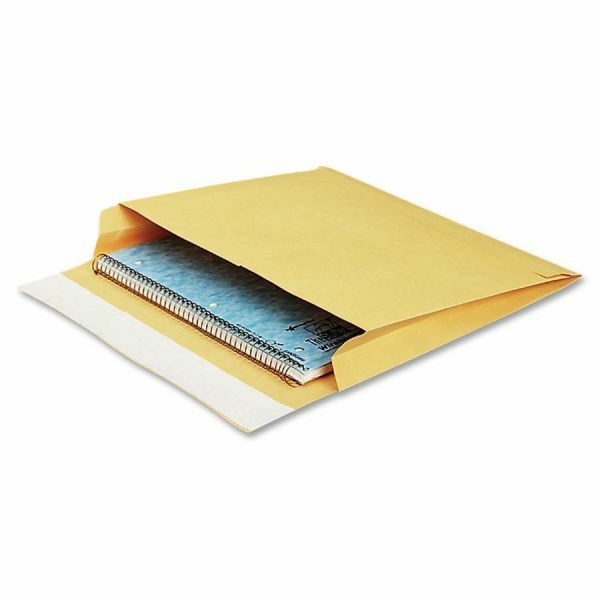 Quality Park 10" x 15" Expansion Mailers - Expansion envelopes offer security for bulky mailings with a 2 expansion gusset for extra-thick mailings. Great for computer reports, catalogs and binders. Large side-opening allows easy document insertion. Convenient Redi-Strip closure requires no moisture to seal. Simply peel away the liner and seal. Envelopes are made of a durable, 40 lb. Kraft."